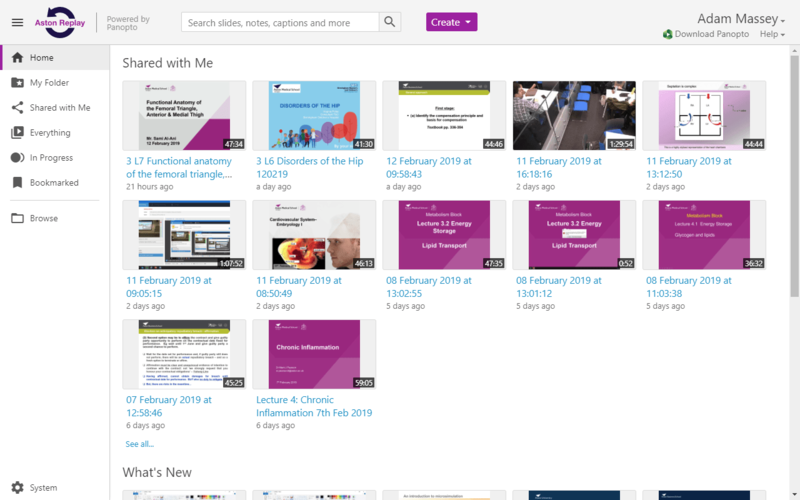 View and search across all the sessions you’re allowed to see and, if you’re an instructor, manage and edit your sessions too. Aston Replay is available at astonreplay.cloud.panopto.eu. It is separate to, but integrated with Blackboard. Log in in via. Aston’s Blackboard using the Sign In link near the top right of the page. You will be taken to the Blackboard login screen. 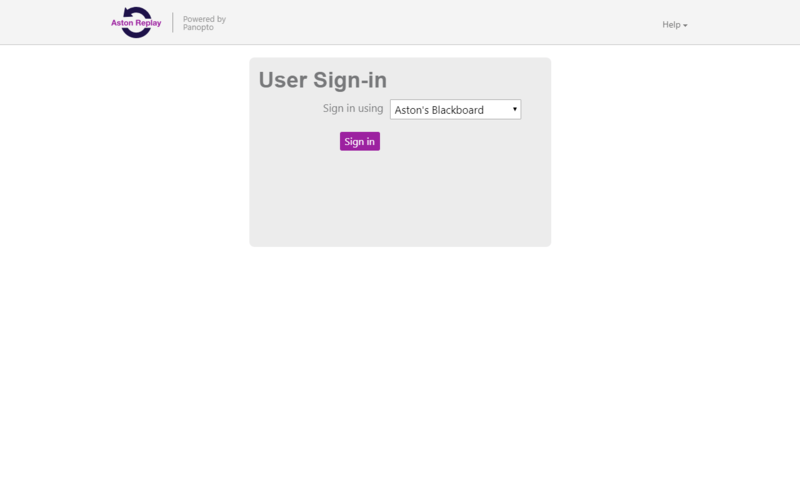 Enter your Aston username and password (if you’re already logged in via. Blackboard, this will log you into Replay automatically). If you’ve watched sessions via. Blackboard previously, you may already be logged in. If so, you’ll see a list of sessions that have been shared with you to view.